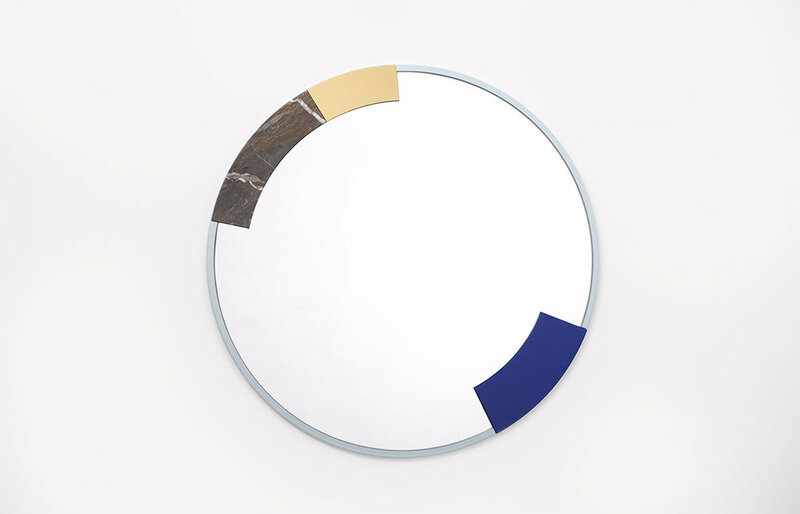 Ora is a series of mirrors that focus on the round. 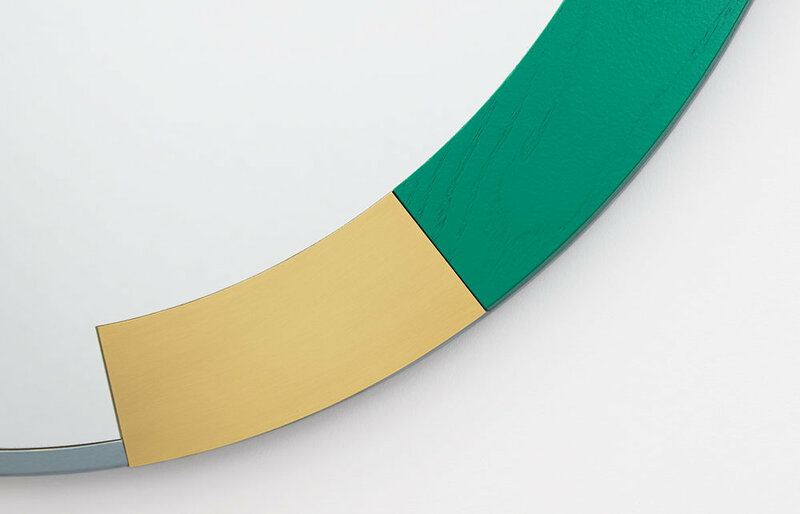 Ora means edge or boundary in Latin, and the mirrors emphasize their edges with isolated curving details in brass, marble and colored wood. 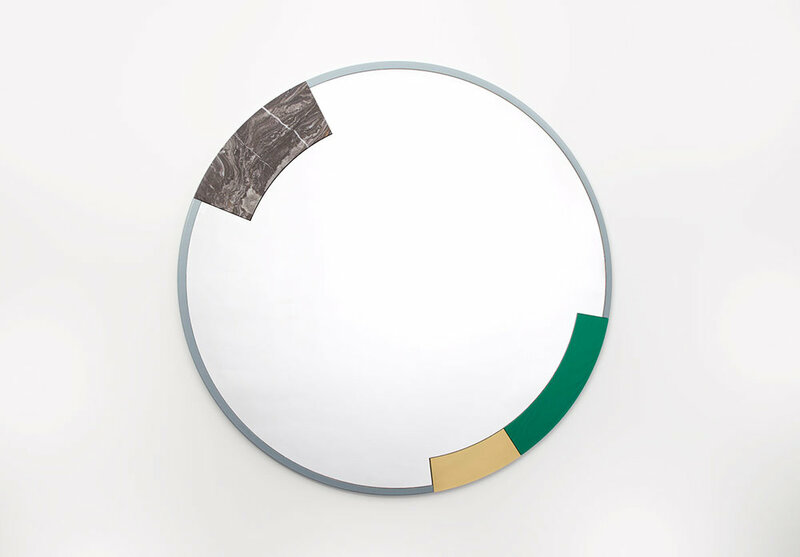 These segments circulate the periphery of the round frame — almost as though they’re suspended in orbit along its edge.